This new website is a work in progress! We add listings for businesses and places all the time and try to describe their accessibility conditions. To suggest additions or changes, please email Devony at dlehner@peninsulailc.org. THANK YOU! 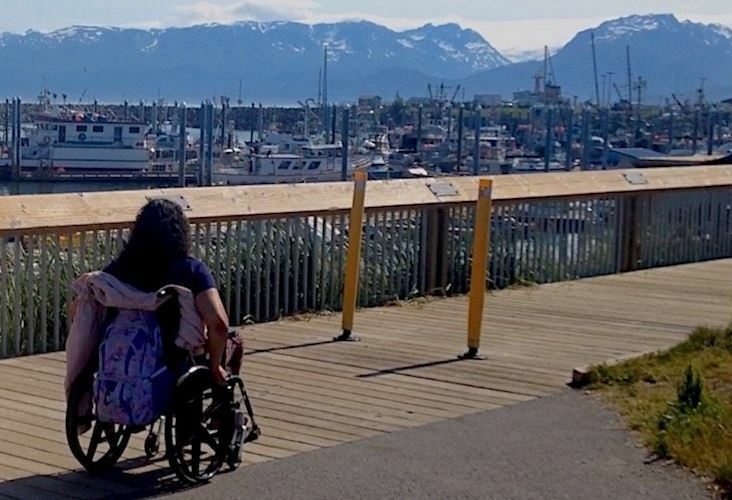 This website emphasizes what’s available in Homer for those experiencing disabilities. This website is for travelers thinking of visiting Homer, Alaska (and local folks too). We emphasize information useful for those with a disability. Accessible Homer is for slow walkers, wheelchair riders, folks with limited vision, and others experiencing a disability. We’ve tried to compile information to help you enjoy Homer’s many offerings—on your own or with friends and family. This website is maintained by the TRAILS inclusive recreation program at Homer Independent Living Center. TRAILS promotes inclusive recreation on the southern Kenai Peninsula. We want folks who love travel and adventure to find what they’re looking for right here in Homer—a fun and beautiful place we love to share. * accessible means different things in different contexts. If a place meets standards of the Americans with Disabilities Act (ADA), we make that clear. If it's working in that direction but not yet there, we describe (or show in photos or videos) the conditions you'll find. That way, YOU can decide if it's accessible to YOU. We include contact information so you can discuss expectations and needs. CLICK on a button below to find places and activities in Homer. Homer offers many ways to recreate and enjoy its beautiful surroundings — dramatic views, boat tours of the bay and its wildlife, charming shops and art galleries, different kinds of trails to explore, delicious places to eat, and comfy places to stay. Click around on the two tables reached by these buttons, and see what sparks your interest. The GREEN BUTTON jumps to a table with different KINDS of businesses and places, like restaurants, trails, art galleries, bicycle rentals, museums, kayak tours, boardwalks—that sort of thing. The GOLD BUTTON jumps to a table with businesses and places listed by NAME, such as Islands and Ocean Visitor Center, Homer Public Library, Pratt Museum, Halibut Cove. Entries that are rose-shaded comply with the Americans with Disabilities Act (ADA). TABLE 2 lists key PLACES and VENDORS BY NAME—such as Wynn Nature Center, Pratt Museum, Homer Public Library, Islands and Ocean Visitor Center. Entries in rose-shaded cells meet the requirements of the Americans with Disabilities Act (ADA). Clicking an entry in a table links to more information. If an offering is not yet ADA compliant but is working towards that goal, we describe what you'll find if you want to try it anyway. Where possible, we include links to “accessible* Homer” videos. 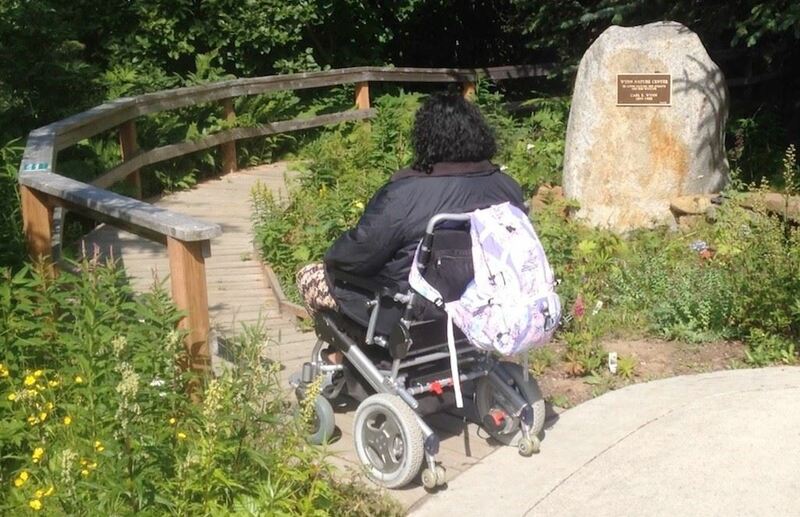 These A*H videos follow a visitor in a wheelchair as she checks out particular places. Click to find businesses and places by NAME. Contact TRAILS if you want accessible* Homer to create a link to your business or you want to suggest places or activities to add to our tables. If you're a business with a website, you can develop your own content describing your accessibility features with descriptions and photos. Then TRAILS can add a link going straight to that information. 2. named places and vendors – entries shaded in rose are ADA compliant. This website is a work in progress. Businesses, locations, and activities are added as we learn about them and their accessibility. We try to add the most accessible offerings first. We’ll also keep adding “accessible* Homer” videos so YOU can decide whether you're comfortable, for example, being lifted by friends or willing staff onto a boat or helped over a threshold or down a trail or across a beach. You can add comments, photos, videos about places you visit. ADA standards but is working towards that goal, we describe what you’ll find. Are you curious what you might discover in Homer. Here are some links that can help you start exploring the area.